Contrary to popular belief, the four Gospels that comprise today’s Bible were all anonymously written. There were no “By lines” informing us that Matthew, Mark, Luke and/or John were the actual writers. Two centuries after the Bible was written, Biblical Scholars named each Gospel based on indications within the text of who they thought might have been the most likely author. No one knows for sure who wrote what in the Bible, since much of the teachings of the time were collected from oral tradition (word of mouth by either an eyewitnesses) or from hearsay (someone who knew someone who knew Jesus and his work). That leaves a lot of wiggle room for Truth. Think of it as a biblical game of “Telephone.” Who knows how close to accurate the message will be after countless re-tellings and hundreds of translation tweakings. Eventually, it all gets accepted as fact. None of the Gospel authors claim to have been a member of the apostolic group around Jesus or to have actually known any of the original Twelve Apostles. Modern scholarship, based on linguistic and textual analysis, and accompanied by the discovery of many ancient copies of Gospel manuscripts, shows that all four Gospels were written in Greek, outside of Roman Israel, at least thirty to sixty years after the death of Jesus. While the accuracy of the Bible text is not the primary focus of this blog, more important is where these Gospel authors derived their core information from. Did the authors create their own original texts or did they copy large parts of knowledge from some other unknown work by someone else? Some of these same scholars also believe that the Gospel of John is the work of several authors, with several portions added at a later date by someone who may have been a devoted follower who historians have referred to as the “Redactor.” Apparently, style, syntax, and a host of other red flags tipped them off that major changes had been made. There are no original copies of any book of the New Testament. Fragment verses from the Gospel of John were all that existed in the first half of the second century. Then there was an explosion of over 3000 handwritten Greek manuscripts that showed up in the second to seventeenth century. A whole lot of Bible writing seemed to be going on back then. All were obvious copies. Yet, everything still points to this unknown original “Q” source as a major influence in all four Gospels. Comparisons between similar verses in Matthew and Luke, who did no know each other (if they were the real Matthew and Luke), seem to confirm that they were copied from the Gospel of Mark and another source. While Matthew and Luke do not put these sayings in the same order, nevertheless they each repeat many of the same sayings, sometimes word for word. Although no actual copy of “Q” has ever been found, many scholars are convinced that such a document once circulated in early Christian communities. Jesus was raised in the Holy Mount Carmel area of Northern Israel, which was home to the mystic prophet sect called the Essenes. Jesus’ parents, Mary and Joseph, along with his grandparents, cousins, and Jesus himself, were all raised in the Essene community where they adhered to very high spiritual beliefs. The Essenes taught in parables and so would Jesus. Jesus would follow in the footsteps of his cousin, John the Baptist, who was already a preacher in the outlying communities. Like John, Jesus had a more liberal view of the tenets of his Essene brotherhood, preferring to embrace all differences, yet still remain connected to the brotherhood teachings. The Essenes considered themselves the guardians of the Divine Teaching. They had in their possession a great number of very ancient manuscripts, some of them going back to the dawn of time. A large portion of the School members spent their time decoding them, translating them into several languages, and reproducing them, in order to perpetuate and preserve this advanced knowledge. They considered this work to be a sacred task. The Hebrews called them “The School of Prophets” and, to the Egyptians, they were “The Healers, The Doctors.” They had property in nearly all of the big cities and, in Jerusalem, there was even a door that bore their name: The Door of the Essenes. The Inner Essene community recognized Jesus as a Messiah. They saw him as a teacher of wisdom; A man who tried to teach others how to live in Peace and Oneness. Many of Jesus’ apostles came from the Essene community. They were the early missionaries carrying the word of God. It is highly probable the “Q” source originated within the Essene sect and Jesus’ closest followers adhered to what they already knew. They used these collected written sayings as their teachings. In 1945, a chance discovery in Egypt provided surprisingly new evidence that rekindled interest in the possible existence of “Q”. Two brothers, from the Nag Hammadi area, stumbled upon a cave containing earthen jars which held twelve leather books containing about 52 ancient texts. This became the Nag Hammadi Library and these well-preserved writings were known as the “Gnostic Gospels,” gnostic meaning to know or relating to esoteric knowledge. These texts would be kept under raps for almost 50 years while access by biblical historians to study them was limited. They told of an alternative version to Jesus’ teachings based on the belief that man could find the Kingdom of Heaven from within. They were believed to have origins within the Essene community and considered heretical by orthodox Christianity. 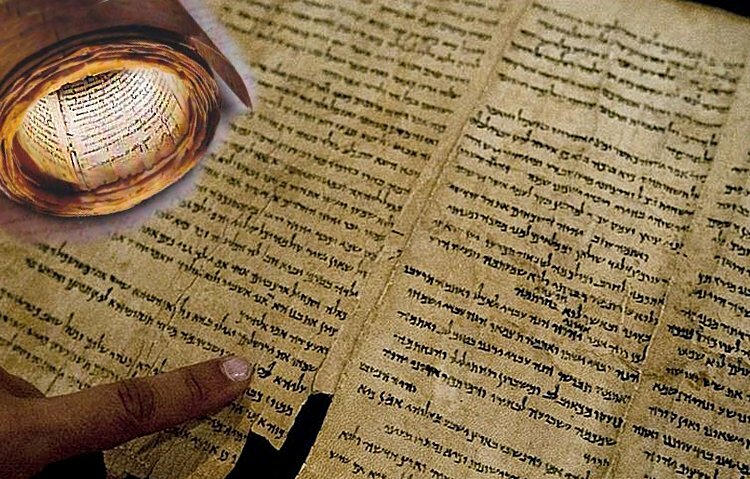 These Gnostic Gospels are often confused with the Dead Sea Scrolls, which were also discovered around the same time in 1946 near the ruins of the city of Qumran in Egypt. The seven scrolls found there led archeologists to finding more than 900 documents dating from between 200 BC and AD 68. They were believed to have been hidden to keep them safe from the anticipated Roman destruction of Jerusalem in AD 70. About a third of the scrolls were copies of the Hebrew Scriptures. Another third were Jewish stories and commentaries on the Old Testament Books, while the remaining third dealt with the day-to-day life of the Essene community who had lived in the region. Included in these Essene papers were many of Jesus’ sayings and teachings—quite possibly the unknown “Q” source. Interestingly, the sayings of Jesus in the Thomas texts were much like those found in the Gospels of Matthew and Luke, but with some inherent spiritual differences from today’s Bible version. The Gospel of Thomas taught that the essential nature of God is Oneness. One must find that place of balance at the very core of their being. This is where one will find one’s true Self…. where one will find God…. where one will find Peace and Joy. It is where the great “I AM” returns home. We don’t find these particular teachings in today’s version of the New Testament. Thomas may be the most accurate of the biblical texts to reflect the true, deeds, sayings and beliefs of the man Jesus before they got skewed or misinterpreted. I am quite certain there will be more originals texts found near those same Qumran caves, perhaps with the help of ground-penetrating radar. There are some that believe a few of the original Gospel of Thomas texts were mis-labeled and contain even more surprising information if examined more carefully. In time, this will be discovered as well. 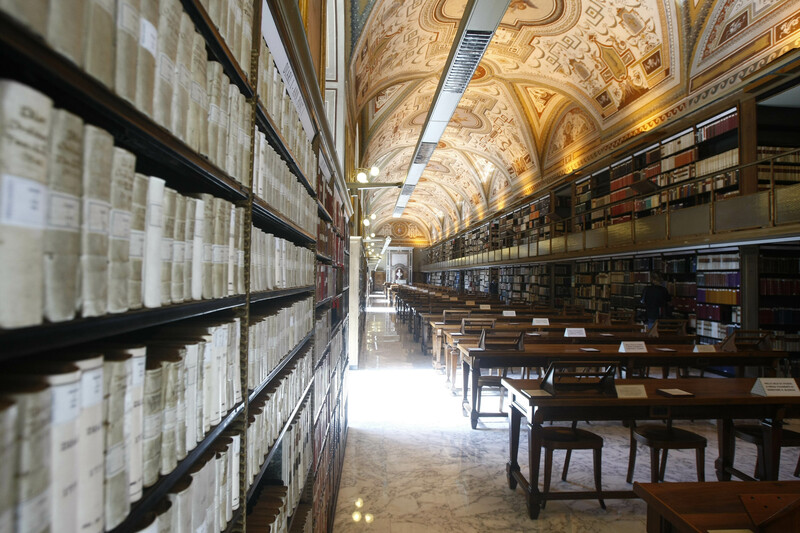 While some of these ancients texts are still hidden somewhere within the Earth, others have been secreted away in private libraries around the world, the Vatican Library being the most well-known. In 1923 another amazing discovery was made. Edmond Bordeaux Szekely was able to discover Essene documents in the secret archives of the Vatican. In his book The Discovery of the Essene Gospel of Peace, he tells the story of how two chess players helped him meet the renowned Monsignor Angelo Mercati, Prefect of the Vatican Archives. He told the Prefect of his desire to learn all he could of the Saint called Francis. He was allowed to research the vast 25 miles of bookshelves containing scrolls, parchments, paper manuscripts and codices. Within the labyrinth he found an Aramaic translation of The Essene Gospel of Peace as well as the The Essene Book of Revelation. His research led him to seek out the Benedictine monastery of Monte Cassino. He was allowed to do this because the Monsignor had written a letter granting him access to the large vitrines in the Scriptorium. There he found the original Hebrew codices of The Essene Gospel of Peace, the source for the Aramaic version found in the secret Vatican Archives. It’s rare that anyone has this kind of access. What other treasures might be hidden there has us forever wondering. Would those revelations change the world as we know it? Probably. Biblical archeology will forever continue to fascinate us as we re-disover our lost history, sift the wheat from the chaff, and ultimately re-connect to our own Divine Truth. There are many epistles (letters) that help compose the bible and they have authors. 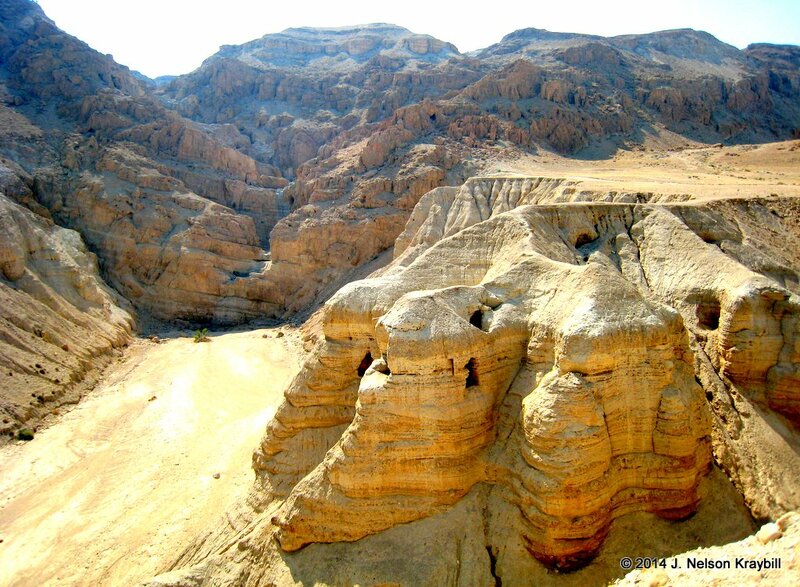 The dead sea scrolls prove beyond a reasonable doubt that the Old Testament has not been changed. Sure, one line may say “I went to the river” while the other says “I went down to to the river” – but there were no meaning changes. What the Old Testament was originally vs how it reads today is the same. I might add that for over 2,500 years they all had to be hand copied. Just imagine trying to hand copy that many words, over that time span, with all of the people involved in the copying process and the book is the 99.8% the exact same! The Kingdom of GOD is within me, wanting to know more, since my objective is to follow JESUS CHRIST , more, of HIS life assist me in my quest to be like HIM. Searching earlier, for forty six year following The Infinite Way teaching, always prompt search of more knowledge and verification.